Watch in HD/with headphones. Like, Comment, Subscribe if you like what you see my loves, xo! "Well let's just call it...a mystery." "You are or were an Intelligent Agent." "You're on the run from something." "You know what happened to the other one." "It has to do with death." "And every person has their pressure point." "I wanted to end the world, but I'll settle for ending yours." -Professor James Moriarty Synopsis: Fan-made, xoxo! Watch in HD/with headphones. Sherlock Series 4 Promo #1: "Thy Kingdom Come" there is a 3rd brother!!! | See more about sherlock, fans and videos. 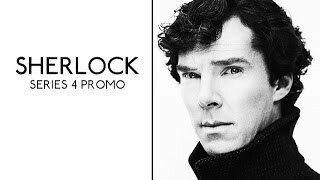 Sherlock Series 4 Promo #1: "Thy Kingdom Come" | See more about sherlock, spoilers and fans.